The international company has outlets all over Malaysia, a majority of which you may have noticed at large shopping malls. 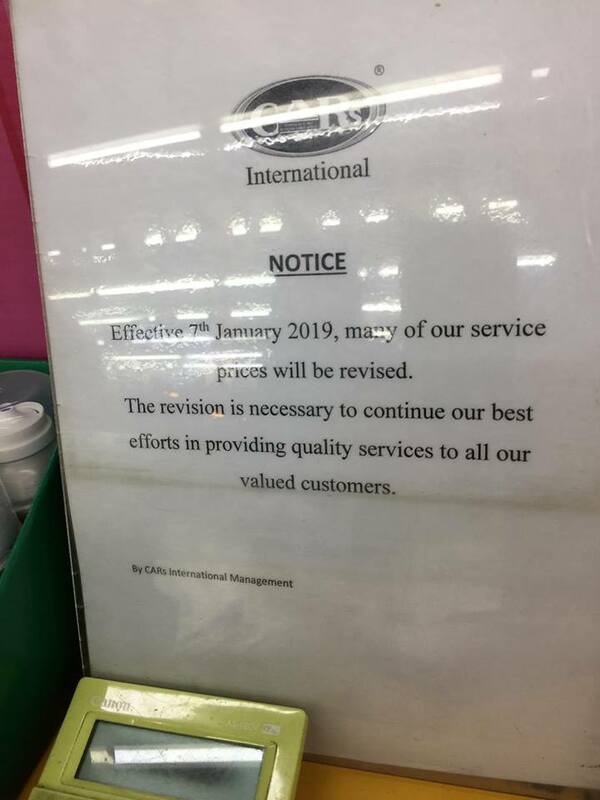 "Effective 7 January 2019, many of our service prices will be revised. The revision is necessary to continue our best efforts in providing quality services to all our valued customers," signed off by Cars International Management. The car wash prices are said to have been increased from RM13 and RM14 to RM20. Several netizens also tagged the Ministry of Domestic Trade and Consumer Affairs (KPKPDNKK-Laman Rasmi) on the Facebook page. Cars International responded to a few customers last week explaining that it had struggled to keep its costs low because of several factors, such as increase in shopping mall rent, local and foreign staff wages, and chemicals. "Dear Sir/ Madam, WE ARE SORRY TO CAUSE YOU TO BE ANGRY. If we had a choice, we would not choose to raise our prices! We have actually tried to absorb much of the rising costs over the years. But we really cannot afford to do so anymore," adding that the company was only able to cover part of the "escalating costs" with the new increase. 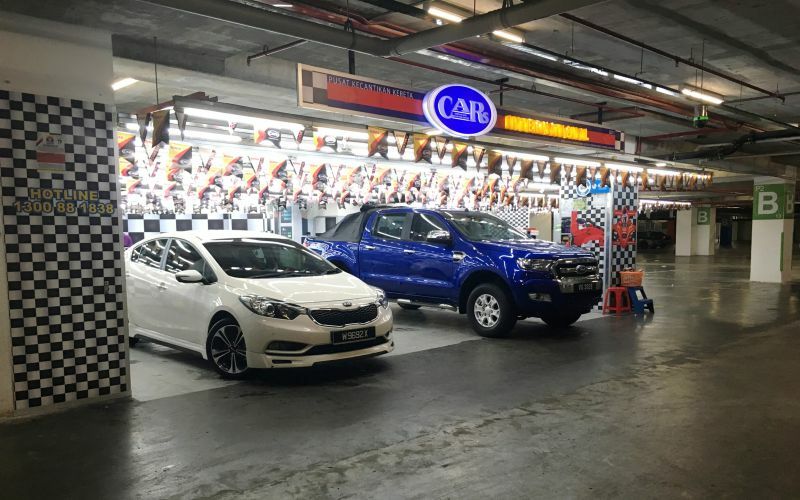 Additionally, Cars International claimed in the message that it would decrease its car wash prices from RM20 to RM16 (including 6% SST) starting from 17 January. She had just returned home from work.